Apple is one of the most popular companies in the world right now and they certainly like to be “one of a kind”. Of course, this is not meant in a negative context, they just have that bug for being unique and doing things their own way. That is why they use different operating systems for their devices, but that can sometimes raise questions among users. One of those questions certainly is the one on how to transfer photos from iPhone to computer in order to free up some space. What apple did is they made an iTunes version for computers in order to make things easier for their users, but most of them might still look for ways to transfer photos from iPhone to computer by avoiding iTunes. This is due the consumers’ desire to protect their data, have more flexibility and control and to avoid data loss during media syncs. That is why we are providing you with some of the best iTunes alternatives. •	Download a PC version of iTunes from Apple’s website for free and install and launch it on your computer. •	Connect your iPhone to your computer via USB cable and click on the device icon situated at the top part of the interface of iTunes. •	Click on “Photos” in the side pane and main screen of iTunes and check the box for “Sync Photos”. •	Select “All photos and album” preference or some specific files you wish to transfer and click “Apply”. •	Wait for the synchronization to complete and click “Done”. •	Download dr.fone and install it on your PC. After launching the software, choose “Transfer” from the home screen. •	Connect your iPhone to the computer and click “Transfer Device Photos to PC”. 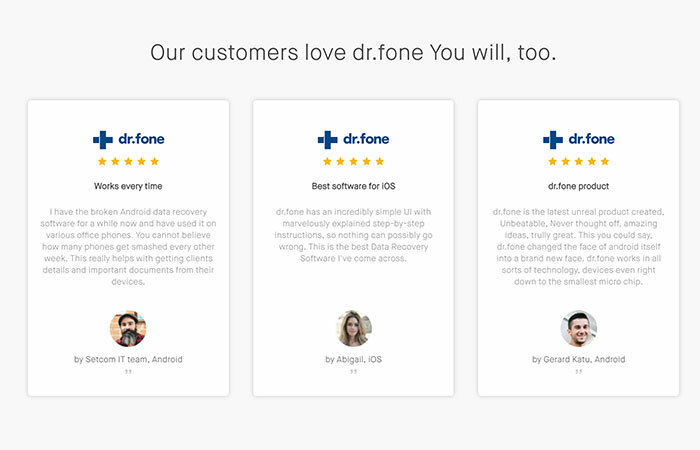 •	Dr.fone will immediately start scanning your iPhone for all photos. After it is done, you can choose where you wish to save the photos on your computer via popup window and start transferring photos to your PC. •	If you wish to transfer photos from iPhone to computer selectively, click on “Photos” tab in the interface and check the photos you wish to transfer, and voila! •	Plug in your iPhone into the computer with your USB cable. •	Grant access to your device by clicking on “Trust” button on the iPhone screen. •	Open “My Computer” on your Windows, and your iPhone should appear under “Portable Devices” section. •	Click on the device storage and look for a folder named “DCIM”. Here, all the photos from your iPhone are stored and you can simply copy/paste the desired images to a desired location on your computer. •	Use USB cable to connect your iPhone to your PC and grant permission by tapping “Trust” on the popup on your phone. •	On your computer there will be displayed a popup named “Autoplay”. Click on “Import pictures and videos”. •	Click “Import settings” in order to specify the location of where to copy the files. •	When the next window appears, click “Browse” in front of “Import images to” option in order to transfer files to the desired folder. •	Click “OK” when done with the settings. •	Navigate to “Settings” on your iPhone. •	Here, tap on Name or Apple account ID and click on “iCloud” on the next screen. Tap “Photos” option and select “My Photo Stream”. •	In the iPhone photos app, tap “Shared” at the bottom of your screen and create a shared photos name. Tap “Next”. •	Tap on the album you just created and tap on “+” sign to add photos you wish to transfer to the album. Tap on “Post” to send the photos to the iCloud. •	Download iCloud software for your computer and install and launch the app. Click on “Option” next to “Photos” on your iCloud window in order to see options, settings and preferences. •	Check “My Photo Stream” and select the location where you want your photos downloaded on the computer. Click “Done”. •	From the left pane of Windows Explorer, click “iCloud Photos”, select “Shared” folder to see the album you created on your iPhone. Basically this is it. You don’t have to rely on iTunes in order to transfer photos from iPhone to computer. There are different, even much simpler and safer ways to do this. All you need is some basic computer skill and an USB cable.